Router Saveris V2.0 - Radio transmission medium | Monitorování | Záznamník a monitorování | Typ produktu | Testo, s.r.o. The radio link can be improved or lengthened in poor structural conditions by using a router. 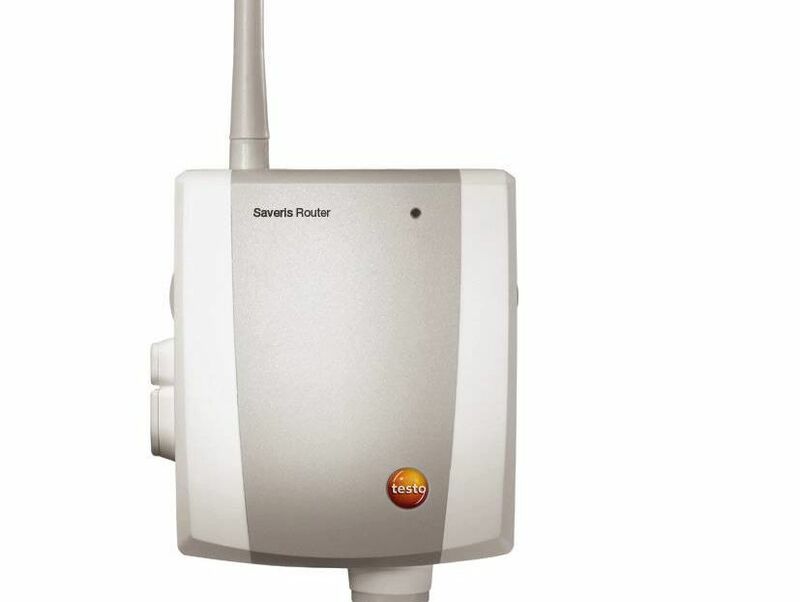 Several routers can of course be used in the testo Saveris system. At the same time, the serial switching of up to 3 routers V 2.0 offers highest flexibility in the wireless range. This measuring instrument requires a power supply unit (not included). testo Saveris router V2.0, for extending transmission paths and for router cascading in Saveris systems, radio frequency 868 MHz.